The Advanced Cambered Wing Tractor is 212.1 KB. Larger files take longer to load. This is the Advanced Cambered Wing Tractor listing page, here you can download the plan, article and see the main thumbnail and extra images. I have very little detail about this but it looks like a class that used "condenser tissue" covering. Much simpler than actual microfilm. 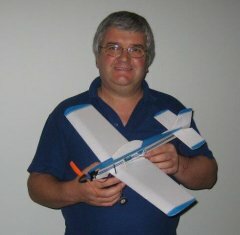 I've been flying model planes since 1973. My first engine was an OS MAX .06. It didn't run. I really got started with a COX PT19 I've done and still do free flight, control line & radio. I like to fly my own creations but recent work & family commitments have restricted me to ARF's. (sorry) Time to start building my aircraft again I think. 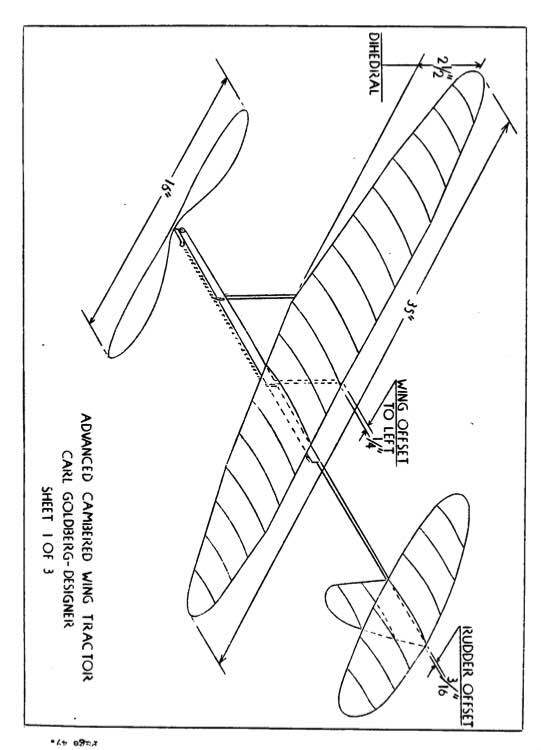 These are the details for the "Advanced Cambered Wing Tractor" plan. If you would like to become a plan editor and help us to edit the attributes of all the plans in the website please click the "Edit Attributes" button below. Order your Advanced Cambered Wing Tractor prints today! The Advanced Cambered Wing Tractor plan can be printed on plain paper, tracing paper or polyester film and shipped worldwide. This tool allows you to calculate the cost of printing and shipping the Advanced Cambered Wing Tractor plans and its building article if available. If you need to resize a plan please contact us with the ID:79301 and the desired wingspan. I will calculate a price upon request, please contact me here mentioning this PlanID: 79301 and the job you wish me to do. This plan is 212.1 KB and was shared by our member smatic on 25/03/2015 02:48 in the PDF Bitmap Wood Model Airplane Plans (1) category. smatic has spent time working on this plan so you can have it now, you can always leave him an appreciation message. smatic will surely like to see what you have build from his plans... You can share your builds at our Forum under the Build Logs section.